Low back pain and leg pain are the most common cause of disability worldwide. As such, new research based treatment approaches are needed. Dr. Deed Harrison uses a randomized controlled trial to discusses whether the improvement towards a normal cervical sagittal configuration aids in the management of lumbosacral radiculopathy. Understand how intervening above the low back can affect overall low back and leg pain. Identity what short term results were found with patients receiving the cervical spine Denneroll treatment method. Dr. Harrison Deed discusses whether a slight head extension changes the sagittal cervical curve. Understand the importance of before and after spine X-ray analysis. Learn why accurate spine measurement methods and patient positioning procedures are mandatory to ensure validity of outcomes. Establish what spine correction on the follow up after treatment X-ray results from. Deed E. Harrison, D.C., graduated from Life-West Chiropractic College in 1996. Dr. Harrison has developed and researched original spinal rehabilitation procedures and has lectured to thousands of Chiropractors in over 300 educational conferences around the world. He has authored approximately 100 peer-reviewed spine related publications, 4 spine textbooks, and numerous conference proceedings. He is a highly respected chiropractic researcher and authority in today’s profession. 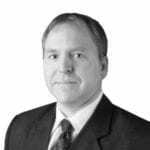 Dr. Harrison is a manuscript reviewer for several peer-reviewed Spine journals including: Spine, Clinical Biomechanics, Clinical Anatomy, Archives of Physical Medicine & Rehabilitation, the European Spine Journal, BMC Complimentary Alternative Medicine, and BMC Musculo-Skeletal Disorders. Additionally, Dr. Harrison is a member to the International Society for the Study of the Lumbar Spine (ISSLS), is a former International Chiropractors Association’s (ICA) Nevada State Assembly Representative member, and is the acting Chair of the PCCRP Chiropractic Radiography Guidelines. He formerly held a position on the Chiropractic Physicians Board of Nevada. Currently, Dr. Harrison is the President / CEO of Chiropractic BioPhysics® (CBP®)Technique & Seminars and is the President of CBP NonProfit, Inc. – a spinal research foundation.